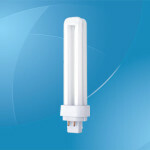 PLS compact fluorescent lamps are known for being very energy efficient, because they use less power compared to the traditional light bulbs yet they deliver the same amount of light – besides, the most remarkable characteristic of these compact fluorescent lamps is that they can help you save up to 80% of the energy. The PLS compact fluorescent lamps also have a longer rated life of approximately 8,000 hours, or even more. In addition to help you save money thanks to the reduced energy consumption, these compact fluorescent lamps also reduce the pressure on the surrounding environment by minimizing the green house gases that are known to be responsible for global warming. 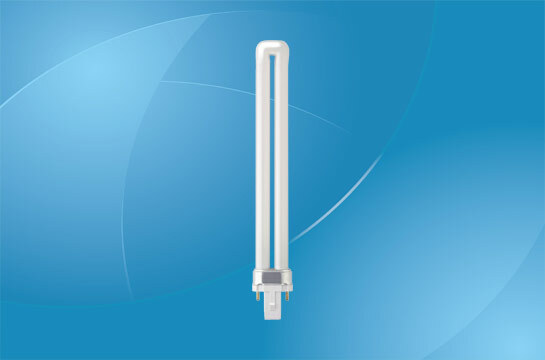 The PLS compact fluorescent lamps come in two different version: models with two pins around a square peg located at the base of the lamp, and models with four pins. These lamps are also available in different colour temperature, from warm to cool: very warm white (857), warm white (830), white (830), cool white (840), daylight (865). 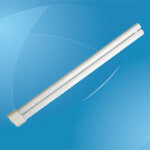 Some stores commercialize compact fluorescent lamps available in blacklight temperature as well. On the other hand, there is a range of copper ballasts used for compact fluorescent lamps that have a very high level of accuracy in order to ensure the optimum operation of the CFLs. Just like any other type of CFL, the PLS compact fluorescent lamps are discharge lamps that work on mercury vapor. When the lamp is in a cold state, the mercury that is present in the form of mercury droplets start to vaporize when the temperature rises – then, the mercury vapor starts to fill the whole bulb, slowly but surely. The mechanism is basically the same – however, due to the high content of mercury, the lamp must be switch off immediately if you notice a bulb rupture. In case of bulb rupture, make sure to thoroughly ventilate the entire room for 30 minutes and to carefully remove all the glass and metal fragments. It is important to avoid direct contact with mercury, as it can be easily absorbed through the skin and it can cause health problems. The wattages vary between 5w and 12w, and these lamps are especially created to be used along with external control gear – this is what prolongs their average life of 8,000. The average colour temp is of 2700k, the average diameter of the lamp is around 32mm and length of 100mm. Other important features include the long life, the fast and easy wiring along with the minimal rise in temperature. PLS CFLs can be used in office buildings and industry, in residential and commercial buildings, hotels, restaurants, bars, retail, workshop lighting, street lighting, public facilities (town halls, sports arenas or concert halls, for instance) and various other similar applications. Basically, these lamps can be used for a variety of creative and cost-efficient lighting designs in almost all areas of application. The PLS CFLs can be a perfect lighting system, or they can be used to compliment a system that already exists by adding extra lighting functions. However, these lights are mainly used in large shops and malls because they create the ideal atmosphere which generates sells.